Gourmand World cookbook Award winner Rashmi Uday Singh, is synonymous with writing about Good Food and health for the past two decades. Having studied law and management, she worked with the prestigious Indian Revenue Service, which she quit after fifteen years as Deputy Commissioner to follow her creative muse in newsprint and television. Books, Columns And Academy:Author of 38 books and regular columnist for ‘The Times of India’, ‘Bombay Times’ and ‘Chennai Times’, it is for her extraordinarily popular Good Food Guide that she is most celebrated (India’s first ever city restaurant guide) The first-of-its-kind handy insider’s guide to good food established Singh, as the nation’s most clued-in commentariat on all things edible. She also runs the highly esteemed ‘Rashmi Uday Singh’s Good Food Academy’ and used to run ‘Rashmi Uday Singh’s Good Food Galleries’. International WorkSingh is the chairperson of the Central Asia region of the London based ‘Worlds 50 best restaurant Academy’. She has been on the jury for ‘The World’s best woman chef’ contest in France, and she is the India contributing editor of ‘Miele Restaurant’ guide the Asia food guide. Singh has represented India in international seminars and discussions in New York. London, Singapore and California, and is a Chaine De Rotisseur. Her most recent, first of it’s kind book (the worlds first) “A vegetarian in Paris…the ultimate vegetarian guide to Paris”, is now on newsstands. Recent Awards: Winner of Chevalier dans l’Ordre des Arts et des Lettres (Knight of the Order of Arts and Letters) (2016), Winner of “The Best of the Best” World Gourmand Awards in Paris (2009) in Frankfurt (2008) and Kuala Lumpur (2006) for her books, Singh has been awarded the “Experience Singapore” award in Singapore and the “Atout France Best Media personality award 2010” by the French Government.The Gourmand World cookbook award has nominated The Times food guide as “India winner” for 2011, Singh has received the Gr8 Woman Achievers award 2011 for “culinary literature” in New Delhi. TelevisionHaving trained with the B.B.C. 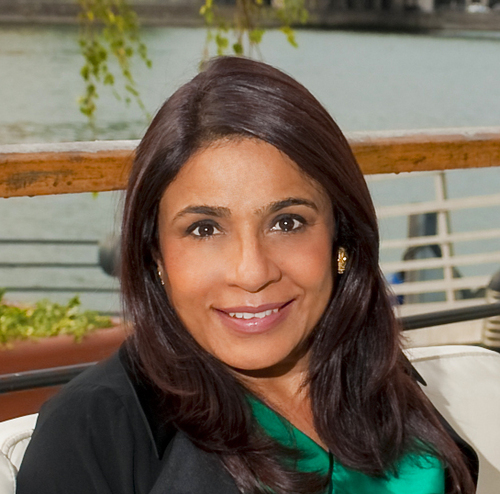 in London and Birmingham, Rashmi worked with Plus Channel, Business Baatein and Newstrack, as correspondent and presenter. HEALTH TODAY…DD METRO’HEALTH TODAY’ (produced, scripted, directed and presented by Rashmi Uday Singh) ran for 52 episodes on DD METRO.It was an upbeat, magazine format health show fleshed in an entertaining style but with a backbone of well-researched information. There was a balance of medical, fitness and nutritional information along with a celebrity interview in each episode, along with leading national and international doctors of modern medicine, as well as holistic healers and integrated medicine experts. Aishwariya Rai and Sunny Deol were amongst the several celebrity guests on Health Today.The episodes ranged from ‘Managing Stress’ and ‘Forever Young’ to ‘Preventing Cancer’. It was telecast for a whole year, (1995 – 1996) every Saturday. Foodie FUNDAS WITH RASHMI…HEADLINES TODAYRashmi is convinced that the world is divided into two kinds of people – those who love food and those who don’t. No matter what kind you are, this show will convert you to a foodie as you follow Rashmi through a delicious culinary journey across the globe. It’s fun! It’s exciting! It gives you a yummy taste of the world. It informs. It satisfies, yet leaves you with an appetite for more…HEADLINES TODAY’s FOODIE FUNDAS WITH RASHMI.Join Rashmi Uday Singh, on the first of it’s kind free-wheeling food show that travels from Berlin to Bombay and Panjim to Paris and serves up three continents.Each episode in Rashmi Uday Singh’s sparkling new television series is different. It tracks down food trends and cutting-edge restaurants, delves into food and love and distils invaluable tips and guidelines from the world’s leading authorities with equal gusto and oomph.It seamlessly weaves fun and learning, the useful and the usable, as Rashmi takes you into out-of-bounds territories, travels into the world’s first cooking school, parties at the world’s oldest food parties, invites great chefs to give cooking demos and gives you a true taste of the culture of food and the food of culture. DELICIOUS DISCOVERIES With Rashmi Uday Singh On ET NOWFabulous flavors of France in a first of it’s kind, brand new, gloriously luxurious TV show.This first-of-it’s- kind brand new international food show captures the flavor of France and underpins it with a backbone of useful information. “Delicious Discoveries with Rashmi Uday Singh” serves up a sumptuous banquet filmed in Paris, Monte Carlo, Lyon, Chamonix and Cognac.Rashmi Uday Singh, is a self confessed Francophile who is “endlessly in love with France”. She takes the viewer through a riveting and first-time-ever experience of France.This show takes you into never-filmed-before, legendary, landmark restaurants and is peppered with insights, anecdotes, practical tips, local eateries and interviews too. Watch this Foodie show to discover the real gastronomic capital of France: LYON. A city which the French have kept a secret for over a century. Watch for the first time an interview Paul Bocuse, the most famous chef of the 20th century and taste the legendary VGE truffle soup he created for President Gistard Estaing.Devour France in every possible way…speed in a yacht into the sunny playground of the wealthy magical Monte Carlo: feast with equal gusto on restaurants of superstars Alain Ducasse, Joel Robuchon, local favorites and Enrique Iglesias’ concert too. Tucked away in the beautiful, snow-capped ski resort of CHAMONIX is a not to be missed fabulous fifth generation restaurant (a favorite of Sarkozy and Clooney) and a tiny local secret mountain restaurant too.Raise a toast with the liquid history of cognac as guest of the Grand young man of COGNAC in his 800 year old chateau. The first episode takes off with three luxurious days in the ultimate of all movable feasts, PARIS. A feast for all the senses. The ET NOW camera follows designer Ritu Beri (who has a home in Paris and is well known in the French fashion industry) and Rashmi into legendary historic, palace hotels of Paris which have never been shot before. A superb vegetarian meal at Alain Ducasse’s courtyard restaurant in the stylish ‘Plaza Athenee’: a uniquely simple recipe demonstration in the 200 year old palace ‘Le Maurice’. GREAT ESCAPES With Gordon Ramsay…CHANNEL FOURRashmi was chosen to be Gordon Ramsays guide to South India for Channel Four and filmed with him for the episode, which included asking him to learn vegetarian cooking, to go South to Jaggi Vasudevs ashram and return and cook for her discerning friends (corporate chiefs, socialites and Bollywood stars) at the Taj. Gordon passed that test. FOODIE AWARDS – TIMES NOWFor two years in a row, Rashmi was the judge for this TV series and travelled to Delhi, Bangaluru and Pune, Cochin, Hyderabad, Baroda and judged several restaurants in Mumbai too. Television CameramanShe has learnt camerawork (PDF 170) and her shooting and presenting in Singapore. Las Vegas and Los Angeles was telecast on the Newswheel of ‘Aaj tak’, including an interview with Shabana Am – shot in Hollywood, Los Angeles. RadioRashmi hosted food shows in Hindi on “Radio Mirchi” for over a year, but had to give it up since she had other commitments. BOOKSThe Good Food GuidesRashmi wrote the Mumbai editions of ‘The Good Food Guide’ at a time when no such book existed in the country. The first ever 1997 guide received rave reviews and was on the national bestseller charts.It was followed by a two-volume set in the next year and a three-volume set followed in 2000. The Good Food guide 2003, to the “Best of Mumbai” was sponsored by Heinz. She continues to research and write “The Times Food Guide to Mumbai” and “The Times nightlife guide” annually, as also the Bible for food lovers in Mumbai. Restaurants, caterers, dessert- makers, cooking class experts, food shops and more.Earlier, Rashmi has also written the restaurant guide to Pune and Chennai. Mumbai By NightYet another first-time-ever book which was launched end of January 2003 and which hit the best-seller lists. It reviews the city’s nightspots ranging from the glamorous to the grotty, party halls, paan wallas, juice and icecream centres and late night eating. A chapter on Dance bars and mujrawallis is yet another highlight. The Celebrity Cookbook”The Oberoi Penguin celebrity cookbook” a path-breaking book carries profiles and recipes of celebrities who actually cook. It includes recipes of Ajay Jadeja, Sunil Shetty, Vijaypat Singhania, Asha Bhonsale and more. The book is an invaluable source of rare and unusual recipes from 27 top of the line super achievers. Rashmi Uday Singh’s Chicken CookbookA comprehensive and in depth cookbook encompassing everything you always wanted to know about chicken. From how to buy, cut, store to useful and usable tips and recipes ranging from “Tandoori” “hassle-free” “healthy” to “party cooking”.A must buy for every chicken-lover. Around The World In 80 PlatesThis path breaking book published by the Times of India and India Book House won the “Oscar of Food Awards” “The World Gourmand Award 2005” and also Worlds “The best of the best” vegetarian cookbook in the past twelve years. It brings together the treasured recipes of eighty celebrated chefs and hotels worldwide. From Chicago to London, from New York to Sydney, contributing chefs include Charlie Trotter, Anton Mossiman, Marcus Samuelson and Tetsuya Wakuda, among others. The book provides a combination of adroitly assembled menus and individual recipes. Beautifully illustrated, it delivers both armchair excitement and superb kitchen instructions, offering readers the best of the world on a plate. The Good Food Academy”Rashmi Uday Singh’s Good Food Academy”, launched on 10th April 2001, is the first of its kind and is not just for the complete novice but also for the experienced enthusiast. It’s faculty includes star chefs…each one a maestro in his right, qualified instructors from catering colleges, cookbook, authors and more. Each and every session is planned carefully and structured to include practical demonstrations and explanations of techniques and methods. A detailed tasting and also a detailed “Good Food kit” to take home includes a gold mine of useful information and goodies to use in the kitchen. The Good Food GallerieShowcased the finest talent and home made products of the city. It offers foodie services (photo cakes, chocolate bouquets etc) and many a tasting ceremony and launch was conducted here.This was located in “Pyramid” at “Crossroads” and has been temporarily closed. The Good Food Sunshine WorkshopsThe first of it’s kind, concerted, systematic and effective endeavour to empower women to become self-sufficient in the field of food, was launched. A series of totally free workshops have been structured and these are in great demand. They are held regularly and funded by Rashmi, as this is her expression of gratitude to God and society for all the good times she is having. It is planned to take them to different cities too. The workshops are completely free and available to anyone who phones in. Columns In NewspapersA food writer by passion and profession, Rashmi writes weekly food columns in the “Times of India’s” Bombay Times” and “The Chennai times ” She did just concluded a 12 year series of a weekly national column on health for “The Indian Express”.